If anyone else had asked for his help publishing a naughty novel, Ash would have had the sense to say no. But he's never been able to deny Verity Plum. Now he has his hands full illustrating a book and trying his damnedest not to fall in love with his best friend. 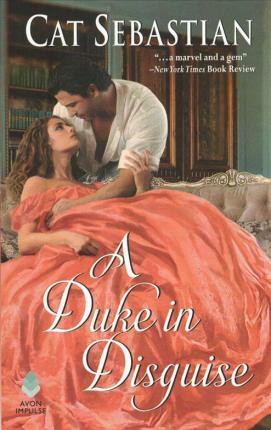 The last thing he needs is to discover he's a duke's lost heir. Without a family or a proper education, he's had to fight for his place in the world, and the idea of it--and Verity--being taken away from him chills him to the bone. All Verity wants is to keep her brother out of prison, her business afloat, and her hands off Ash. Lately it seems she's not getting anything she wants. She knows from bitter experience that she isn't cut out for romance, but the more time she spends with Ash, the more she wonders if maybe she's been wrong about herself. Ash has a month before his identity is exposed, and he plans to spend it with Verity. As they explore their long-buried passion, it becomes harder for Ash to face the music. Can Verity accept who Ash must become or will he turn away the only woman he's ever loved?